You Are Here: Home > Let Us Find Your Perfect Car! Are you having trouble finding the perfect Honda for your personality and lifestyle? At our Honda dealership in Fresno, CA, we understand it can be challenging to find the right car, SUV, truck or minivan. There’s a lot to consider – from efficiency to comfort, versatility to size and much more. In this form, we break down the different options available to you so that we can offer suggestions that are custom-tailored to your desires. We’ll look at information regarding your desired fuel economy, performance, capability and more. Submitting this form is quick and easy, and allows us to show you some of your best options. Then, you’re welcome to come in for a test-drive at a time that’s convenient for you! 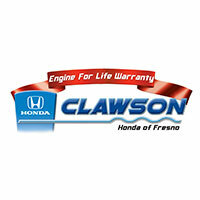 Buy or lease your next Honda at Clawson Honda of Fresno today. If you would like to share information about your current car, and why it is not working out for you, please enter below. What Year, Make and Model us your current car? I want a nicer car than I have. My old car is worn out! How important is fuel mileage to you? I want the best mileage I can get! Additional Comments, Please give us some thoughts about your new vehicle!